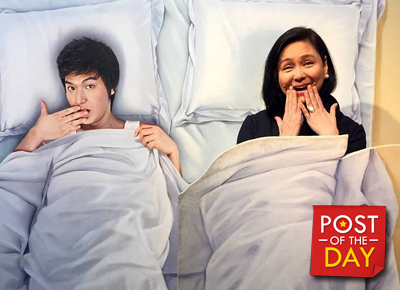 Which Kapamilya star is fangirling over Lee Min Ho? It looks like Charo Santos has gotten the Kdrama-fever like Anne Curtis too, as she took the opportunity to snap a picture with a standee of Legend of the Blue Sea actor Lee Min Ho in South Korea and shared it on her Instagram. The actress, who put the hashtag #workation on her photos in Seoul, also took a picture with a standee of a hanbok, Korea’s traditional attire for women and women. “Someone is "feeling" korean already,” she captioned her post. Legend of the Blue Sea begins airing on ABS-CBN today, May 8 after The Better Half.